Last year I fell during a solo competition in New York City. I didn’t hit the ground, but I fell hard enough that the entire audience gasped. One large, loud noise that drowned out the music and echoed through the room. The auditorium was fully lit too, so not only could I hear the audience’s reaction, I could also see the mix of disappointment, pity, and concern on their faces. Three months earlier I had had a similar mishap occur during my showcase routine at another competition. A few seconds into the performance, my partner and I missed hands during a trick and instead of spinning gracefully on the ground, I landed with a thud. I stood up as quickly as I could and we finished the routine, but my heart wasn’t in the rest of that show. When I physically hit the ground, I plunged emotionally into self-doubt too. My body movement was tense, my smile forced. Everything about the way I physically executed the routine dripped with the defeat and judgement I felt. The audience felt that and reacted to it. Regardless of how loudly my friends screamed over the course of the next 90 seconds, that room remained silent and still. The second time around I didn’t want that to happen again. This time without missing a beat I caught my balance and went right into the next part of my routine. I brought my energy up, even higher than it had been before, and gave everything I had to the last few measures of that routine. To my surprise, the audience cheered and clapped. They applauded even more loudly than they had gasped only moments before. In a matter of seconds their emotions had changed from disappointment and embarrassment to awe and excitement. Perhaps they even felt a small sense of pride too. Adrenaline rushed through me, and when I walked off that stage beaming, I could see every face smiling too. What actually happened during those two shows was strikingly similar: Both times I fell. On stage. During a competition. In front of a lot of people. But the way I felt after each performance couldn’t have been more different because of the way I reacted in the moment. The second time around I trusted myself. Like really trusted myself. When I fell, I pushed out all those feelings of self-doubt and focused instead on all the things that remind me of my self-worth, like how hard I had practiced for the competition and how much I deeply love to dance. In comparison, falling seemed like such a small thing, a small bump I hit in the middle of the road that I couldn’t possibly let ruin the entire drive. Once I thought about it that way, I had no choice but to stand up and keep dancing. I had to put my heart and soul into the rest of that show. In doing so, I gave the audience hope. I inspired them with my own resilience and in turn, they sent those positive emotions right back to me. And getting them back felt really good. That second performance taught me just how much crowds absorb and reverberate whatever energy performers put into their shows and out into that room. However we choose to respond to what happens on stage, that’s how the audience is going to respond too. If you’ve never performed, I can tell you that the same energetic relationship applies to social dancing too. Think about those dances you’ve had when you can feel that your partner’s attention isn’t with you, that they’re distracted by something else. 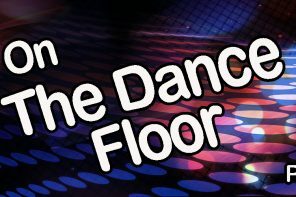 Most likely you feel slighted or annoyed when this happens, especially if your partner was the one to bring you out onto the dance floor in the first place. Those negative feelings prompt a negative reaction; you start to mimic your partner’s lackluster energy and soon you’re both just going through the motions desperately waiting for the song to end. But what would happen if instead of matching their energy, you gave more to them during that dance? It’s hard to walk out onto a stage into a dead audience and give everything you have to your show. Often it feels easier to give up in that moment, to give a lifeless but technically on point performance than to be completely vulnerable in front of your audience, or in front of your social dance partner. But what feels worse is walking off the floor after the kind of show I had at that first competition. I’d much rather walk off stage, feeling as euphoric as I did after that New York competition last year. I even want to feel like that after the non-dance related experiences in my life. After a meeting with my boss at work, a difficult discussion with a co-worker, dinner with a friend, or a date with a new love interest. Sure, sometimes I’ll still need some help. Other times it might take me a few tries to get all the way back up. But now I know that when I commit to picking myself back up, I’ll bring everyone else around me up with me too. Love it, Brielle!!! Brava! You make a pertinent and important observation for both performers and social dancers. Keep up the great work. Brielle you are an amazing writer! You know I am not even a dancer, but your messages speak to me for all of my own endeavors in my life! You are reaching a really broad audience! Looking forward to your next piece! Awesome perspective on the personal struggle required to dance and become a great performer and how its not as easy as it looks! 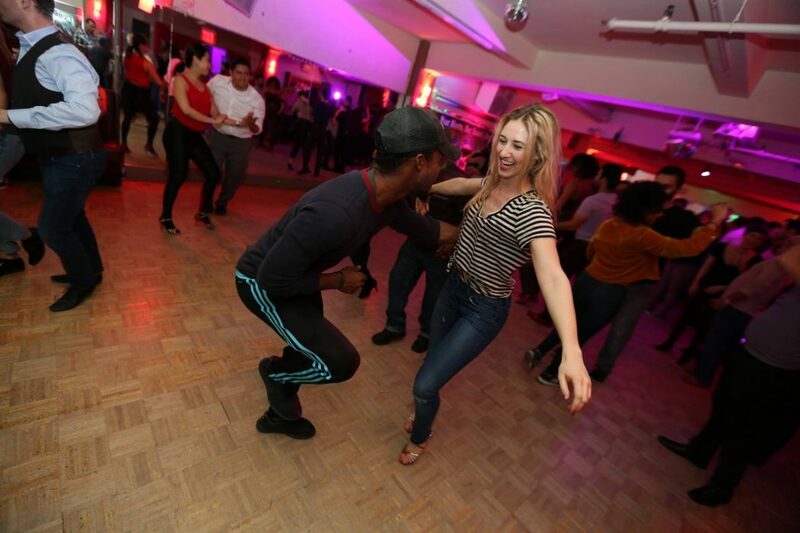 At this year’s Salsa Fuego, Anya Katsevman dropped to the floor during a performance lift so accepting the challenge and taking the risk is part of the motivation that the audience cheers for. Thank you David! I couldn’t agree more : Anya Katsevman is such a wonderful example of really giving to the audience and going for that challenge every single time. And it’s so cool when the audience cheers for that too. Wish I had been at that show! Well written and thank you for sharing your wisdom. Thank you so much for reading (and taking the time to comment! ).